To that I added an Admiral Gorshkov as the newer aircraft carrier INS Vikramaditya which is set to enter service with the Indian Navy this year. To that I added an aircraft carrier, the Admiral of the Fleet of the Soviet Union Kuznetsov (Адмирал Флота Советского Союза Кузнецов) as a sister-ship of the Varyag. TheVaryag was purchased by China and converted to serve in the PLAN as the Liaoning, being commissioned into the PLAN in September 2012. To all of the above I added some aircraft for both sides. 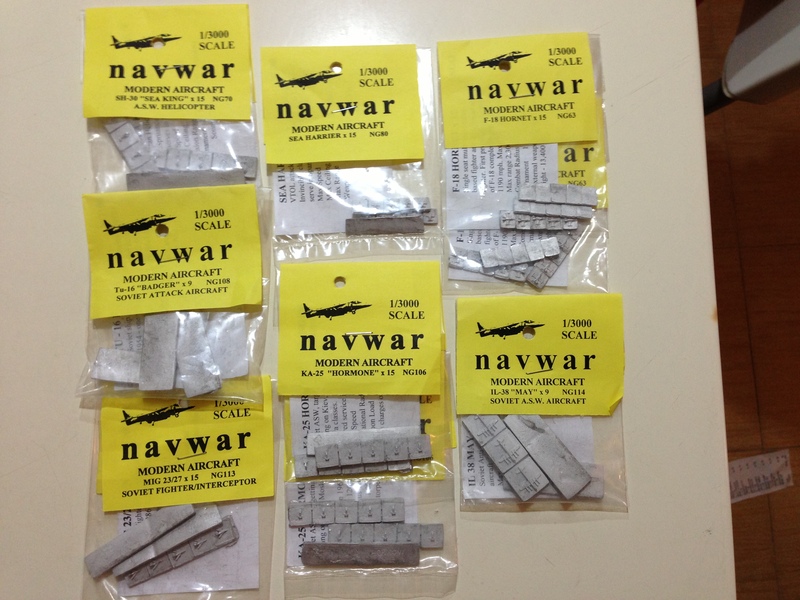 Unfortunately the 1/3000th modern aircraft from Navwar are on a base so the only thing I can really use them for is marking air-raids coming in. 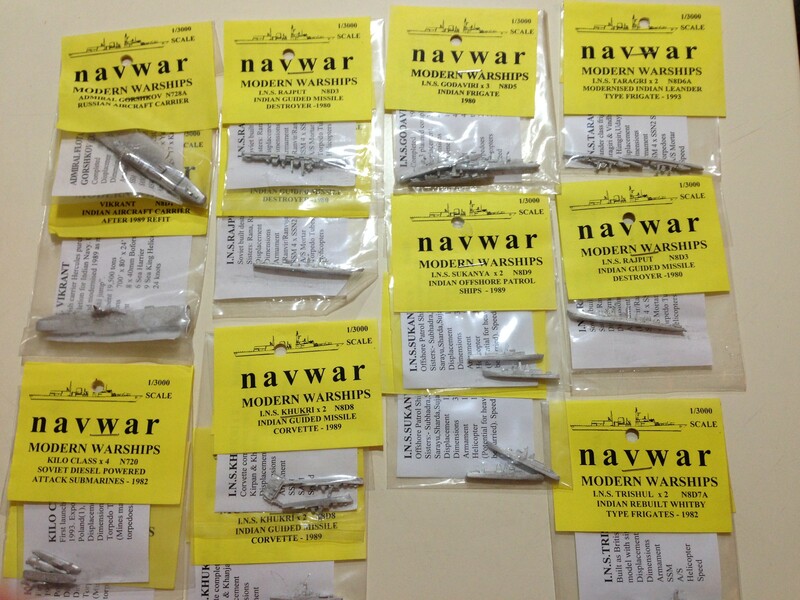 In the World War 2 range Navwar makes aircraft without the big base which is great as you can add them to the flight deck of an aircraft carrier and improve the look of the vessel. The World War 2 aircraft can be mounted in flights on stands as well. Anyway, they will serve well as markers. The only other thing to add is the rules. 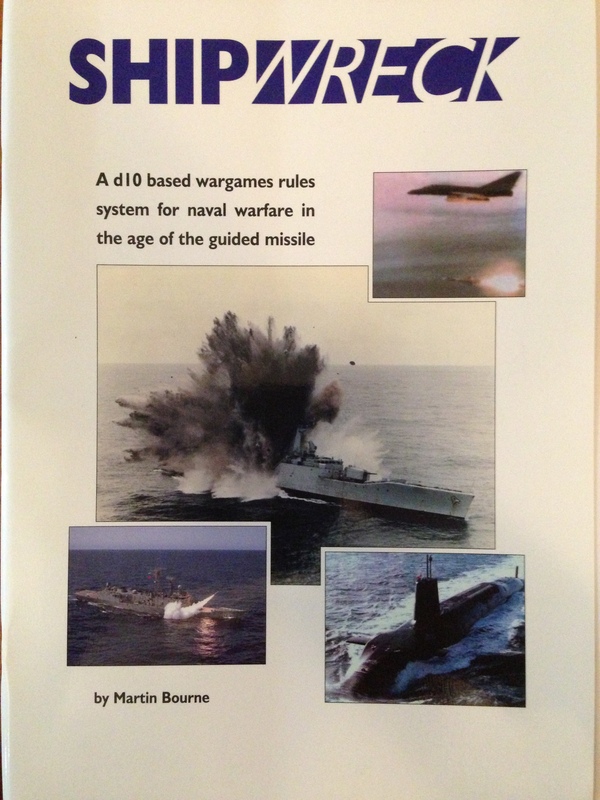 A few weeks ago I ordered a copy of the Shipwreck naval rules from Quick Reaction Force. They were delivered and have provided some interesting evening reading lately. They have been around for a few years but they also simplify the game somewhat ensuring that a modern naval battle can be completed in fairly quick time. I am tempted to get some American vessels as well and perhaps some Russian vessels. 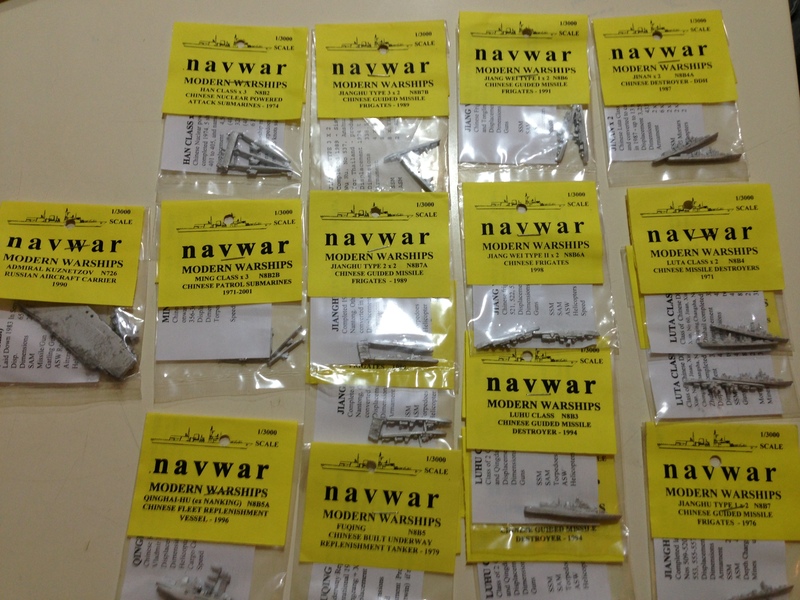 I think I might try them from GHQ or C-in-C (both of which are more expensive than Navwar and in 1/2400th but both of which make beautiful models). So when does some naval gaming happen? Mmm have some 1/6000th ships to paint (Painting now) followed by some ACW basing, finish preparing the Khmer then maybe I’ll paint the moderns. I’m also tempted to get some aircraft from GHQ to just make the decks more interesting on the carriers. In what alternative universe do you see American and Russian vessels tangling?